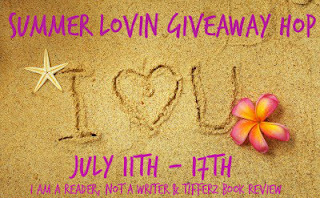 For the Summer Lovin Hop, I'm giving away one book from The Book Depository (Up to $10). For this hop it must be a YA romance or Clean adult romance. Check out all the other stops at I Am A Reader, Not A Writer. a Rafflecopter giveaway Support future giveaways here on the blog or even other blogs by always making your Amazon or Book Depository purchases through an affiliate link. It costs you nothing, but greatly helps us bloggers in being able to continue to provide awesome giveaways.